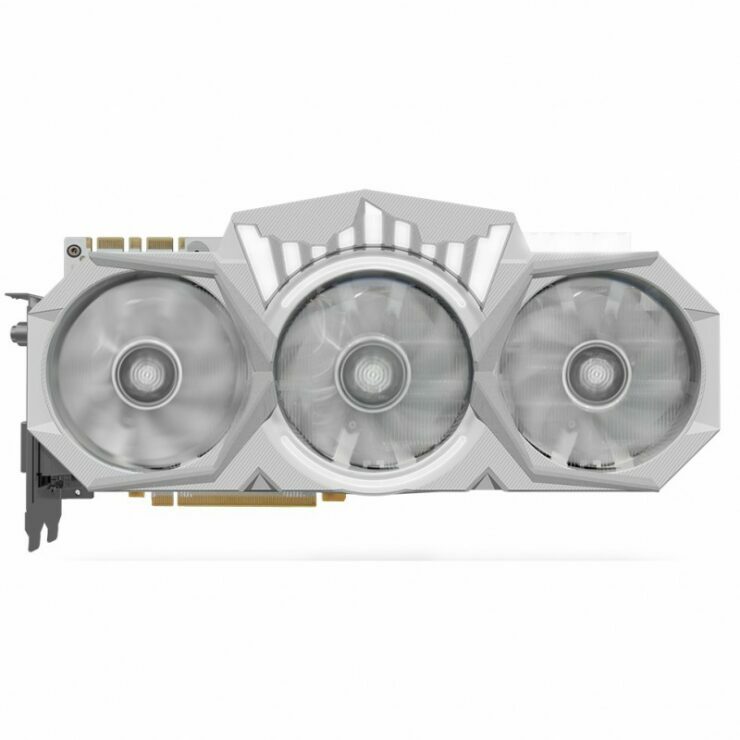 KFA2’s GeForce GTX 1080 Ti HOF “8 Pack Edition” has been fully detailed by Videocardz. 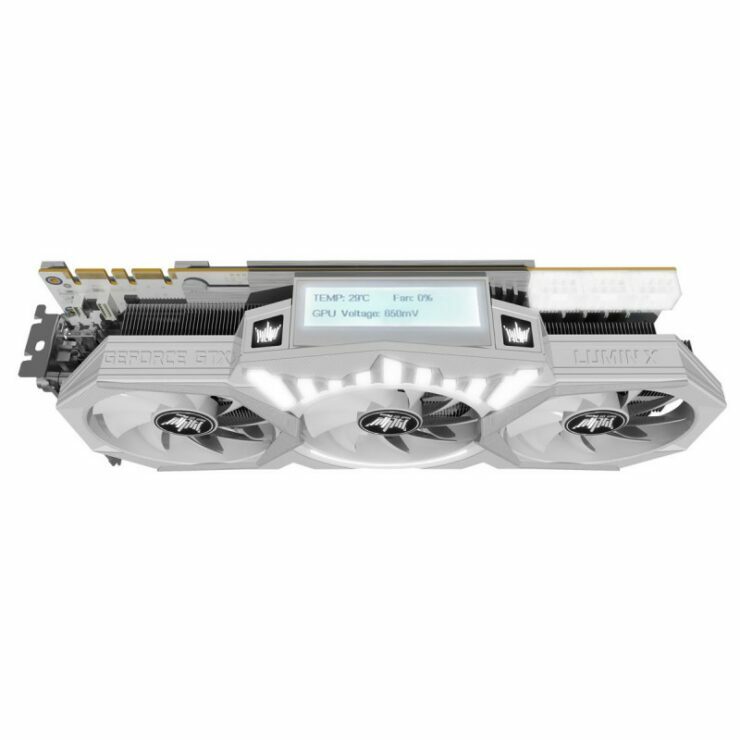 The new graphics card sports a gorgeous design along with an outrageous specification list, making it one of the fastest cards on the planet. 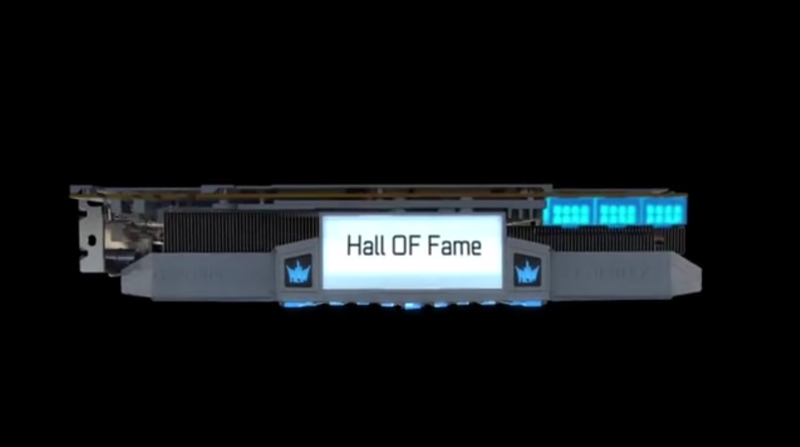 The KFA2 GeForce GTX 1080 Ti HOF (Hall of Fame) comes in two variants, the regular one and the “8 Pack” edition. The 8 Pack edition is the fastest clocked variant of the two that ships with impressive clock speeds of 1645 MHz base, 1759 MHz boost on the GP102 GPU core and the 11 GB GDDR5X memory operates at 11.4 Gbps speeds. This is similar to the Titan Xp but featured across a 352-bit bus interface. The card has a total bandwidth of 501.6 GB/s which is impressive. Related The Last Remnant Remastered Review – Let’s Kick Some A! The regular variant ships with lower clock speeds of 1607 MHz base, 1721 MHz boost and 11 Gbps clock speed for the memory. 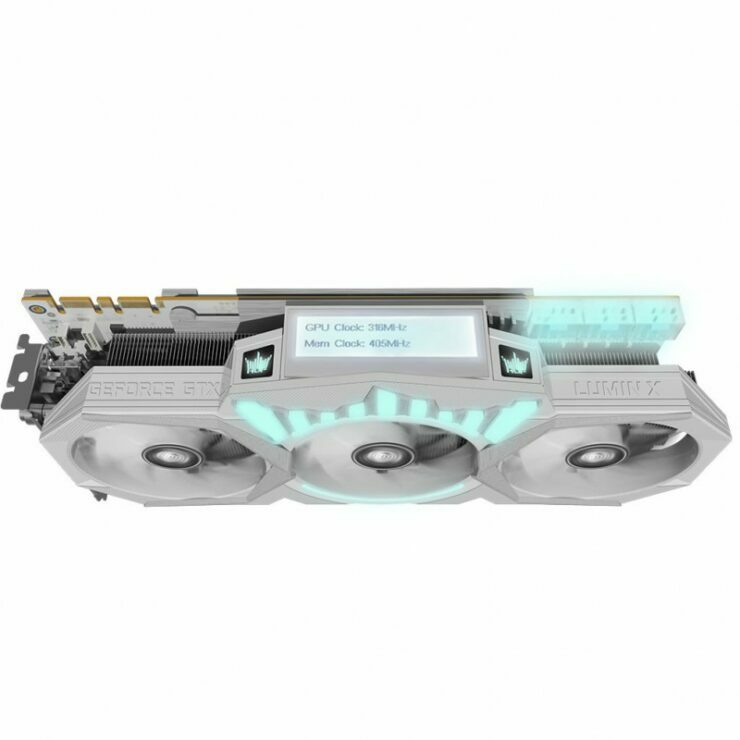 The KFA2 GeForce GTX 1080 Ti HOF “8 Pack” edition would ship with a price tag of 950 British Pounds while the other variant would cost a little less than that. 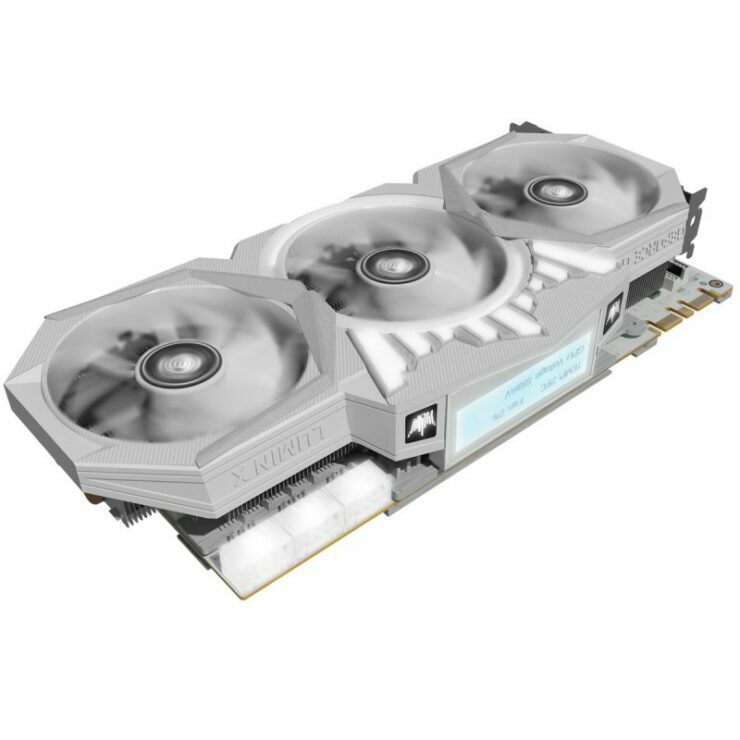 This is a lot for a graphics card but it would be available in limited stock and only 5-6 samples of the “8 Pack Edition” would be made for buyers every month. 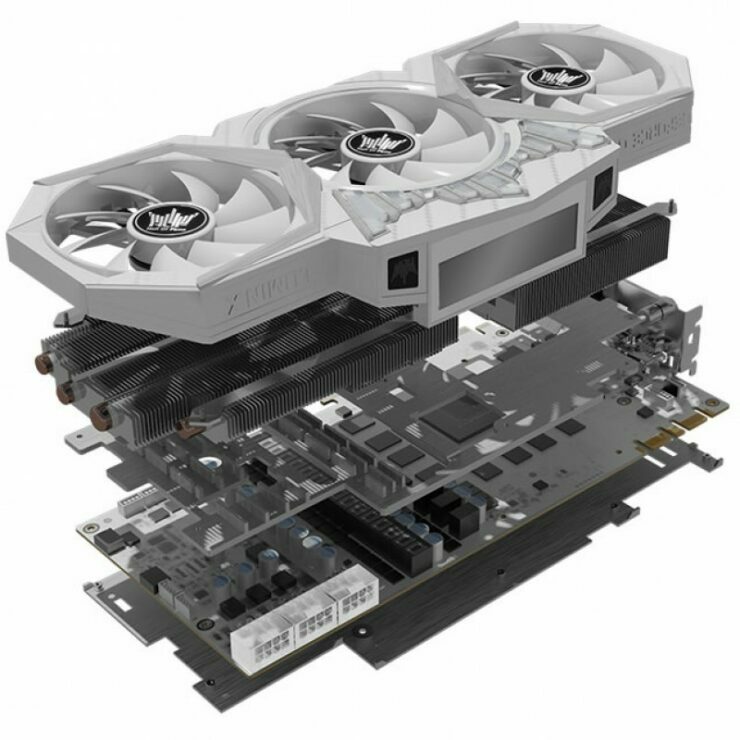 The KFA2 GeForce GTX 1080 Ti HOF features a dual slot, triple fan design that comes with the extended PCB layout, allowing for premium components to be used on the PCB. 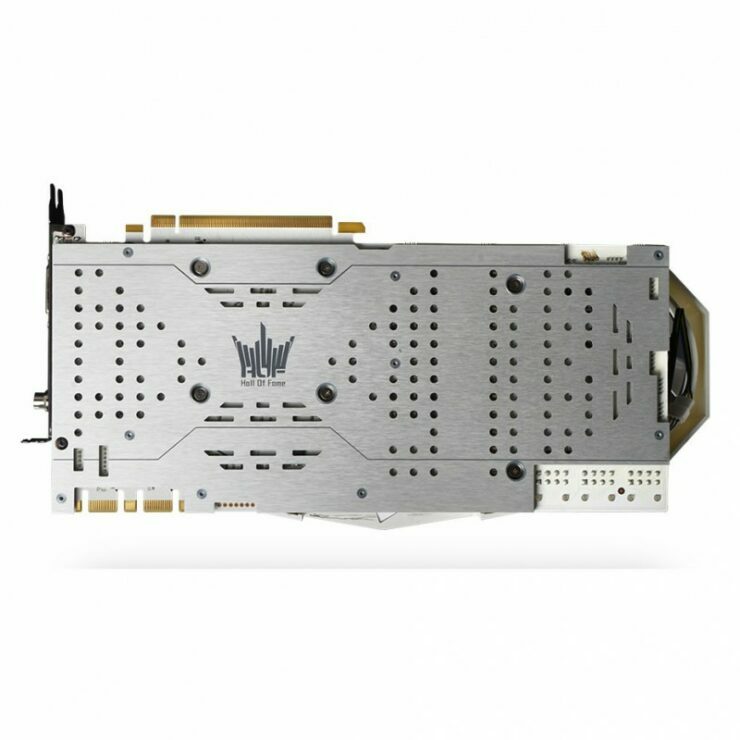 The card is the second to feature a custom LED display on the shroud side. 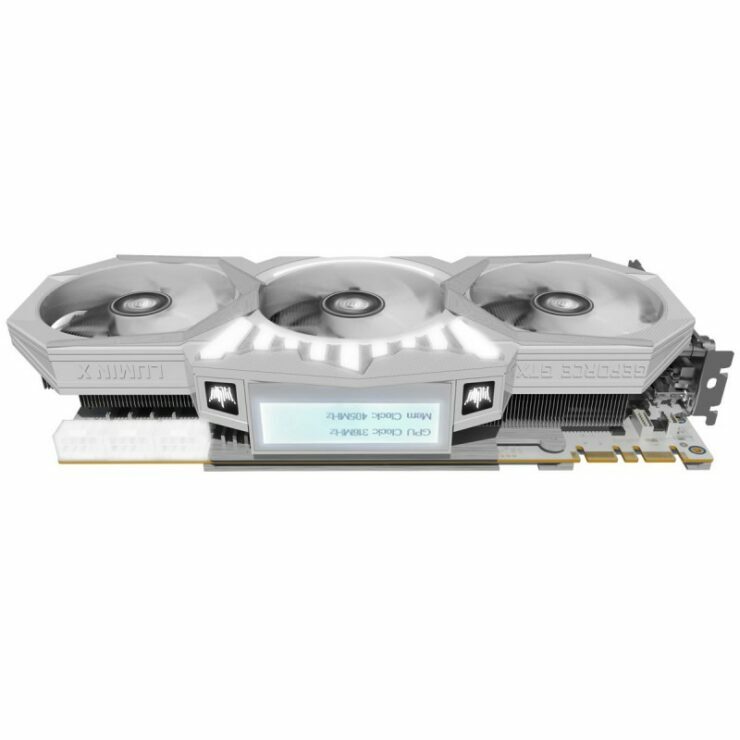 It displays important information such as BIOS version, memory capacity, GPU and driver version, temperature fan speed, GPU voltage, GPU clock, memory clock and can also display custom text. The design scheme of the card being shown by KFA2 is unique as we can see that the middle fan has the HOF logo on its outskirts that emits white LED light which goes in line with the white color scheme of the card. The new LED Lighting system is called LUMIN X. KFA2/GALAX is known to use white colored PCBs on their HOF cards and this is no exception. 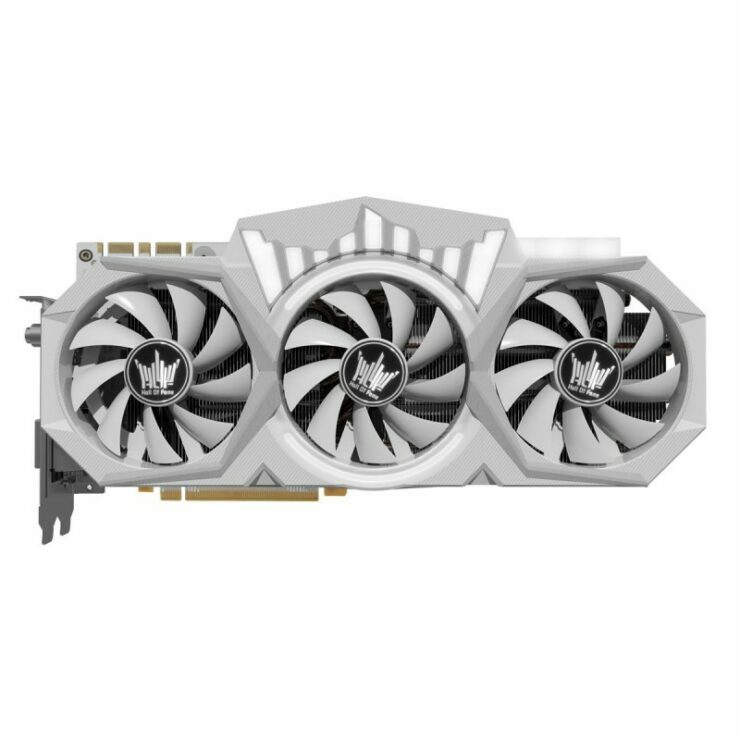 Both PCB and cooler will be using a white color scheme and the triple fan cooler will provide ample cooling potential for this beast. 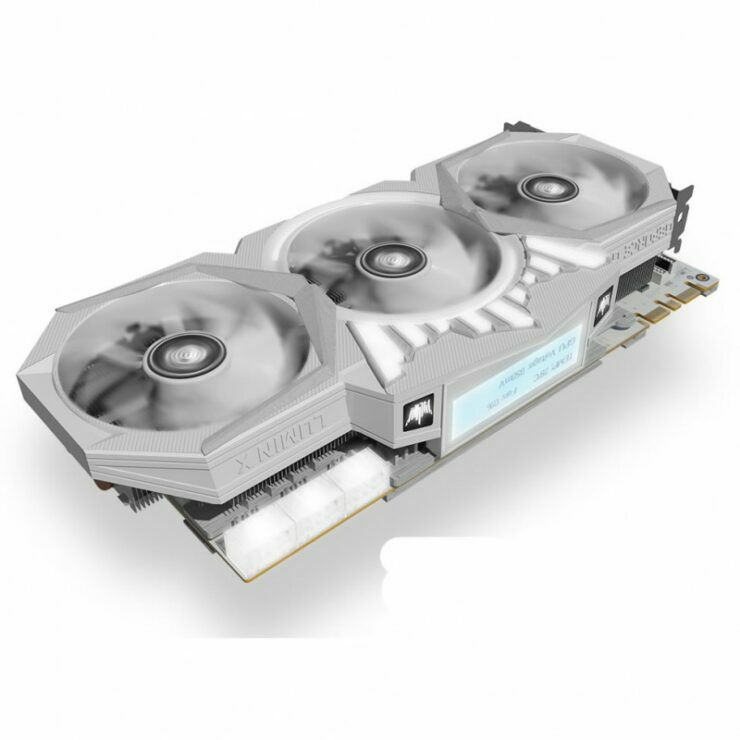 The triple 90mm fan heatsink on the card is really big with all fans blowing air towards a large heatsink. 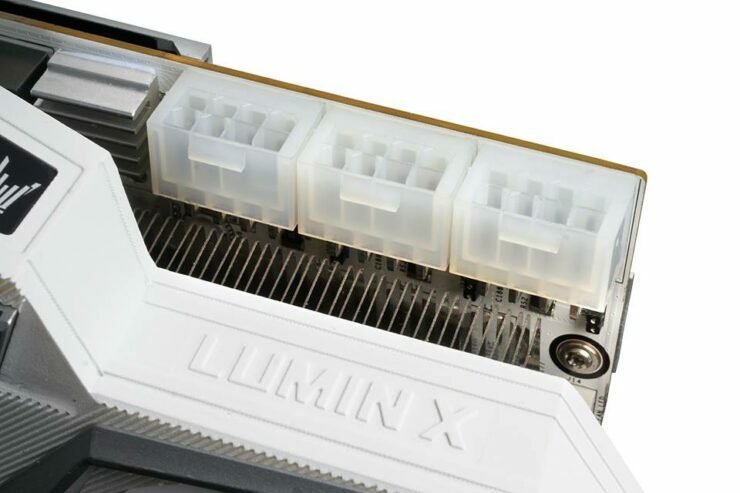 This heatsink is made up of two dense aluminum fin array packed blocks which are interconnected with a total of five, thick heat pipes made out of copper. The display connectivity includes DVI, HDMI and three DisplayPorts. There’s a rotating knob on the I/O bracket which allows one to switch between different BIOS modes. The PCB on the card is going to be a lot of fun for overclockers. It packs a 16+3 (GPU+VRAM) phase power design.The VRMs are cooled by a small aluminum heatsink while the rest of the PCB is cooled by the fans. There are multiple voltage reading points on the back of the PCB along with three connectors for the fans and two connectors for the LED ring and crown lighting. The card itself is powered by three 8-pin power connectors which deliver tremendous amounts of power to the PCB allowing for monster clock bumps on LN2 cooling. The card is currently available for Pre-order at OCUK for a price of £949.99.